Posted August 25, 2009 in Captain America, Ian Glaubinger. 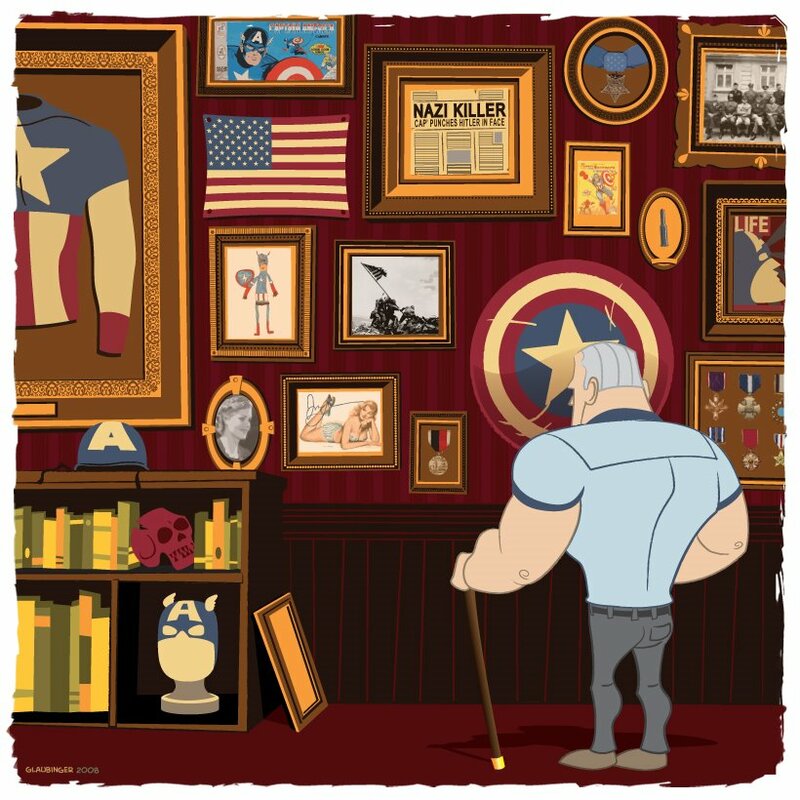 A retired Steve Rogers reflects on his glory days in this charming piece from New Jersey illustrator/graphic designer, Ian Glaubinger. You can find more of Ian’s work at DeviantArt and his blog, Doodles from My Noodle.